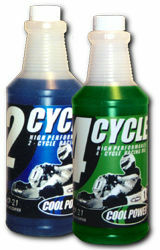 HDM is proud to offer racing lubricants and fluids to fit your needs. We can provide car racing oil brands such as Brad Penn, Renegade, Amsoil, and Valvoline. We also stock some Comp Cams break in oil, along with various other fluids required for your race car or power sports machine. If you do not see what you are looking for here, please email us we can get also get Amsoil products but are not allowed to offer them directly on this website.